In small wadeable streams, the majority of the work is accomplished using the backpack-mounted HDSS system (Figure 1). 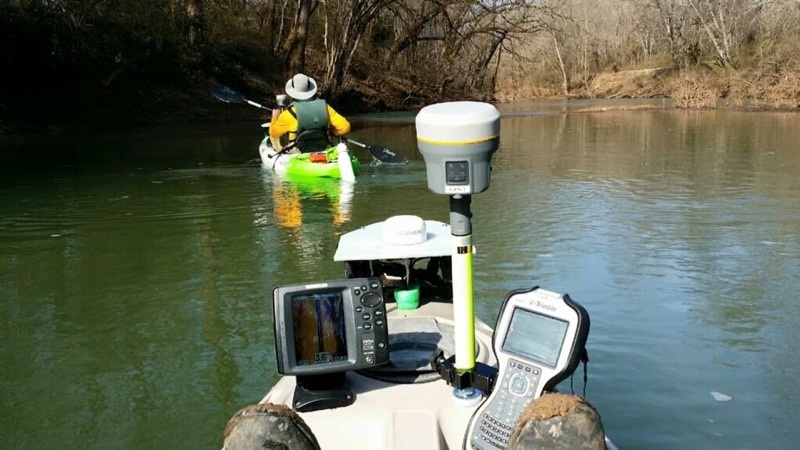 When using the HDSS Backpack system, the surveyor follows the thalweg of the stream. The backpack-mounted HDSS system enables continuous GPS tracking, high-definition video of the stream and surrounding areas with image stabilization, underwater video in areas of appropriate depth, and water quality samples. Water quality measurements can be collected at user defined intervals (typically every 50 to 100m) and at any sites of interest, such as incoming tributaries or outfall pipes. Figure 1. 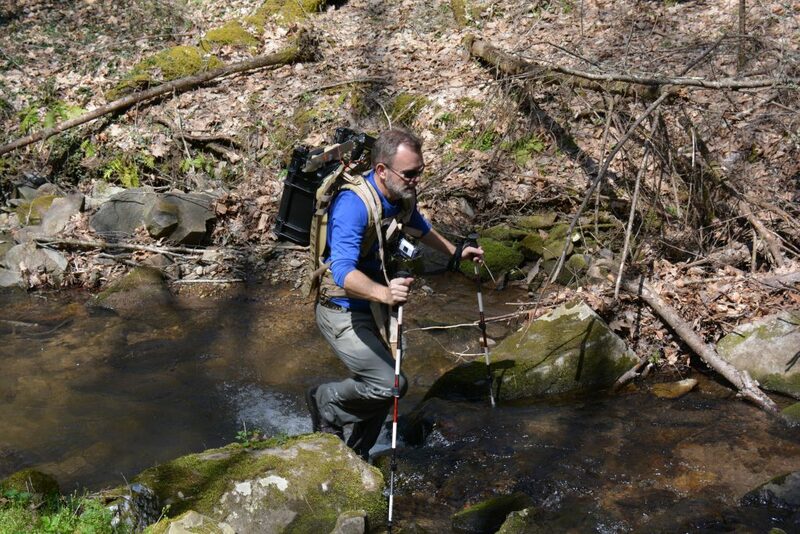 Dr. Jim Parham surveying Brook Trout habitat in the Cherokee National Forest using the HDSS Backpack system. The HDSS Kayak system is used in floatable streams and small rivers (Figure 2). In addition to data captured by the HDSS Backpack system (GPS tracking, water quality, and high definition video of surrounding areas), the HDSS Kayak system also captures underwater habitat, biota, substrate and channel condition data using underwater video and side-scan sonar. Sonar will accurately capture data in areas too deep or too turbid for video. The GPS data is combined with the depth and water quality data to create data-rich stream maps. Figure 2. Example of survey equipment on the kayak HDSS system. The HDSS method produces a continuous flow of standard stream corridor variables pertaining to both shoreline and instream parameters, as shown in the tables below. While the standard variables are highly useful, additional variables can be added or substituted based on their availability and unique project requirements. Trutta can assist is selecting the variables that will provide the widest applicability of the final data while effectively answering project-specific questions.